Ariella woke early that morning, her excitement keeping her awake for most of the night. She awoke to a dark room, the light morning sun blocked by large velvet curtains. She yawned and rubbed her eyes, glancing down to Cal, who slept soundlessly beside her. She smiled, thinking of how wonderful it was going to be when she could wake up to him every morning. She slipped out of the bed, dropping her feet silently against the rug and walked out of the room, careful to avoid the creaking of the wooded flooring. She grabbed her clothes which lay neatly folded  against the back of the sofa and wrapped her shawl around her body, hiding the fact that she wore only a chemise. She walked out to the corridor to find a bustling of servants, carrying plates and platters full of teas and pastries. Before she was caught nearly naked by a servant, she slipped effortlessly into her chambers where she found Mae waiting, arms crossed with a scowl on her young, rigid face. "Ariella," she hissed, pronouncing all of the syllables with a drawn out manner, "It is nearly six, the wedding begins in four hours and you&apos;ve been gone all night." Ariella&apos;s face contorted guiltily, "I-I got lost." She murmured. Mae stared at her in disbelief, "Come, let&apos;s get you into a bath. Hurry now, we haven&apos;t much time." Ariella followed Mae into the washroom where the tub was already drawn and set with aromatic flowers and salts. "I have no idea to how you&apos;ve managed to come home in only a chemise, Mademoiselle, but I must say, it&apos;s horrific," Mae muttered, pulling the chemise off of Ariella and collecting her gown from the night before with a disappointed look on her face. Ariella rolled her eyes and helped herself into the tub whilst Mae left her to put her things away. Ariella relaxed, letting herself sink into the warm water. She reached up to the surface of the water to play with the rose petals that floated on top. She smiled happily as she thought of what the day would hold. She wondered if Cal had woken yet, and what he was doing. She wondered about the Cathédrale and the ceremony. She shut her eyes softly in pure bliss. Mae walked in, heels clicking against the checkered tiled floor. She carried a tray with an arrangement of soaps and perfumes, still scolding Ariella with her eyes. 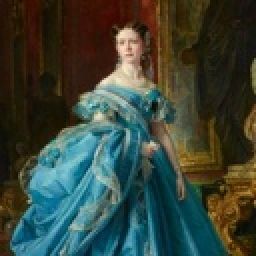 After being declared clean, Ariella was handed a robe and led into the parlor, where two more women stood facing away from them, debating about something as they faced a man holding a magnificent gown. Ariella stopped in her tracks, speechless. Katerina turned around, smiling in acknowledgment. 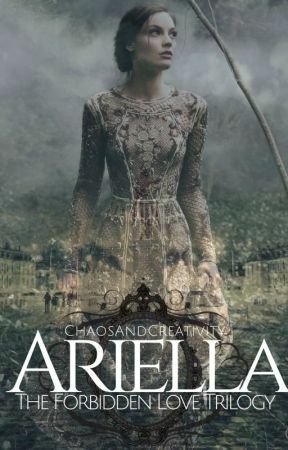 "Oh, dear Ariella. I&apos;ve brought my lady&apos;s maid, Joséphine to help us this morning. The woman curtsied and rose elegantly, a small smile on her aged face. Ariella nodded pleasantly, "How do you do?" "Very well, Mademoiselle," said the woman kindly. Katerina walked to Ariella, taking her hands and leading her over to the man holding the gown. "You can hang it just there, Francois," said the Princess, pointing to the dress rack behind him. He man did as he was told, bowed, and left the women swiftly. Ariella shook her head in astonishment, her eyes gazing upon the elegant gown. She walked to it and ran her hand down the pale blue silk, stopping just as it hit the gold embroidered flowery bottom. She lifted her eyes up to the corseted top, golden trim running with ruffles from the center of the corset down to the half sleeves.